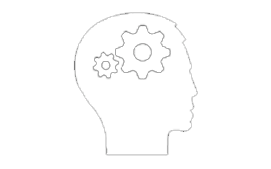 Case Studies | Montel Inc.
Over time, we have resolved tens of thousands of space saving challenges. 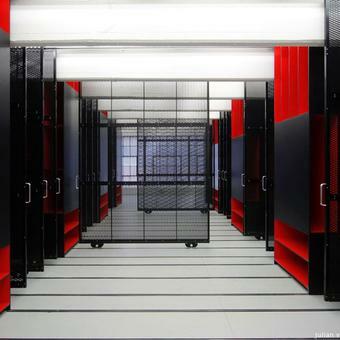 See how we are using our high-density systems to use the full potential of space in a variety of application contexts. 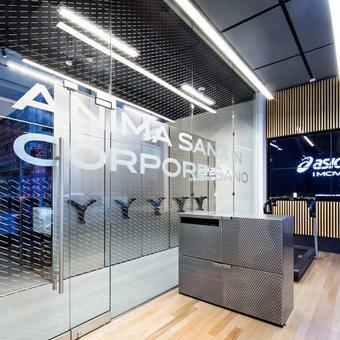 ASICS’ first flagship retail location on Fifth Avenue in NYC selects Montel for the ROI and product quality. 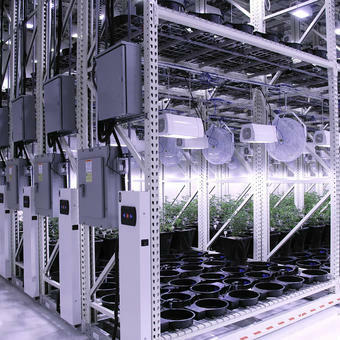 Montel mobile vertical cultivation solutions met this cannabis dispensary's high standards. 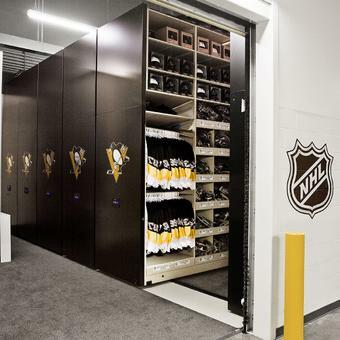 The Pittsburgh Penguins face big hockey equipment storage problems. Montel gets right to the point by modernizing their facilities. 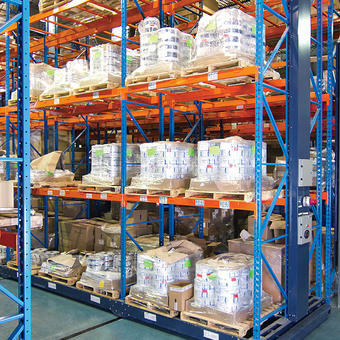 With our help, Airbus optimized its activities by ingeniously increasing the storage capacity of its warehouse while improving safety. 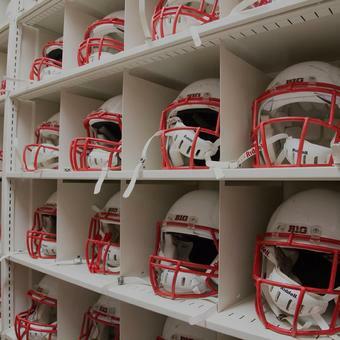 The athletic department of the University of Wisconsin needed an efficient way to sort and store the Badger's gear and sport materials.  Recently, an authorized Montel distributor partnered with a local Acura car dealership to solve its tire storage troubles. Oxford Dodge is happy it said good-bye to its one dozen shipping containers. 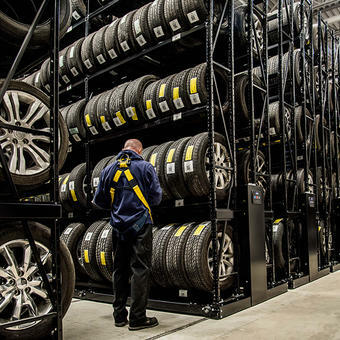 With help from Montel and its powered mobile racking system, the dealership was able to safely store and catalog 5,000 different kinds of tires in a single climate-controlled warehouse. 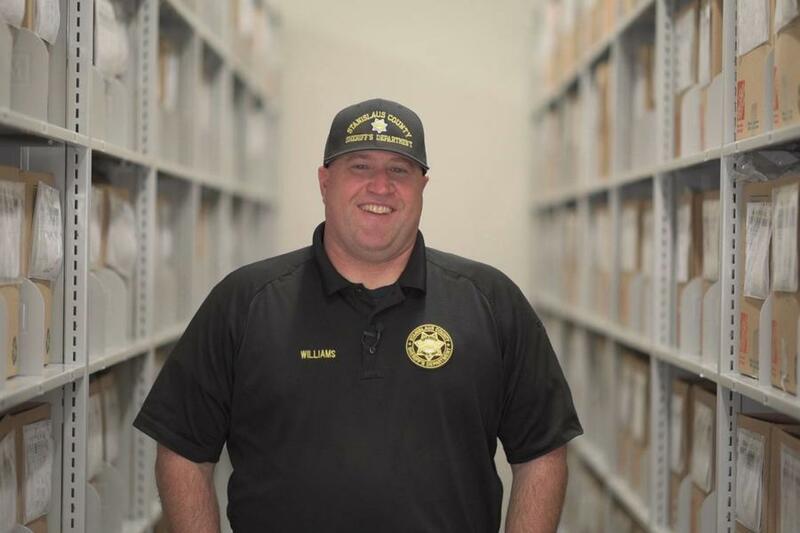 The Stanislaus County Sheriff’s Department requires Montel's storage solutions that meet high capacity demands without sacrificing on square feet or versatility. 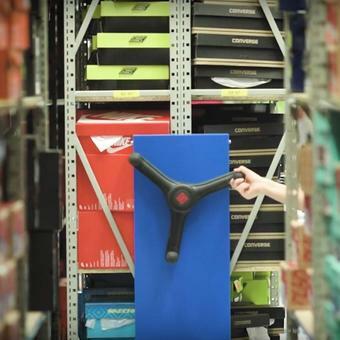 With more than 100 stores across Quebec, sporting goods retailer Sports Experts is assisted by Montel to find storage and organizing solutions for its stocks accross several store locations. 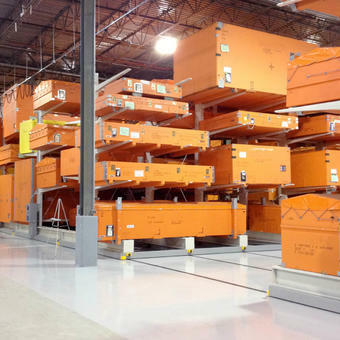 Zenith Aviation embarks on a journey to efficiency with SAFERAK® Powered Mobile Racking. 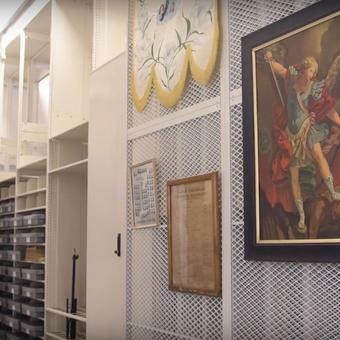 History Colorado provides the Denver community with a link to the past through expansive collections of archived documents, photographs and sundry artifacts. 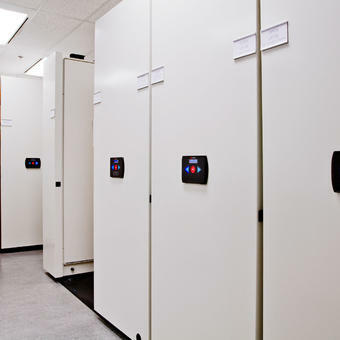 Montel helps History Colorado completely reinvent its museum and anthropological storage. 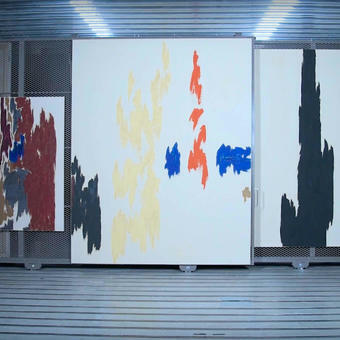 Montel designs and installs, for the Clyfford Still Museum in Denver, custom storage solutions that achieve a perfect balance between efficiency, usefulness and conservation. 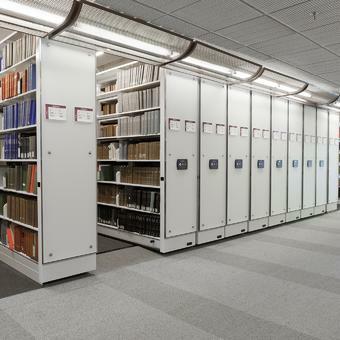 Montel helps internationally acclaimed management school HEC Montreal take that next step with a brand-new SafeAisle® Powered Mobile Shelving System with Aetnastak® Cantilever library shelving. 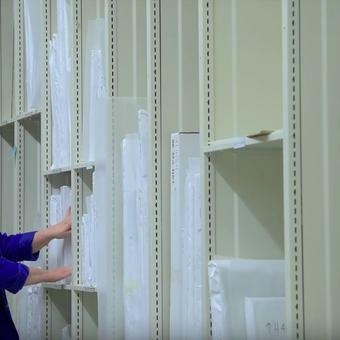 Montel answers prayers for better storage at the Centre D'Archives Mgr-Antoine-Racine. 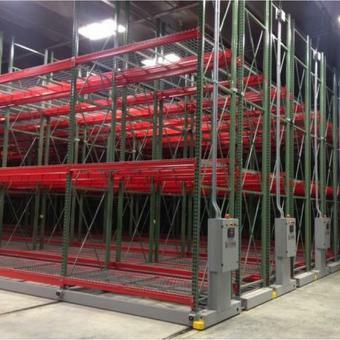 Williams Selyem effectively quadrupled its storage potential to 2,000 wine cases with Montel storage solutions. 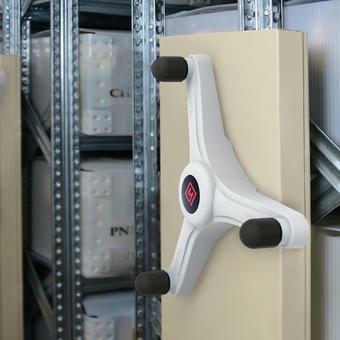 Montel’s SAFERAK® 32P industrial powered mobile storage system instantly help Immunotec employees become more efficient. 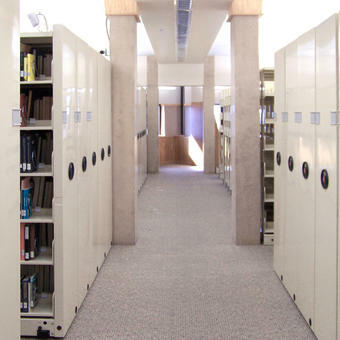 Concordia University Libraries reached out to Montel to find best solutions for their specific storage challenges caused by collections growth. 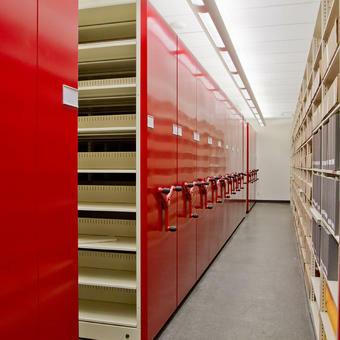 Montel designs for Ringling College of Art and Design of Florida, a multifaceted storage system that serves campus creatives by preserving documents and making them accessible to all. 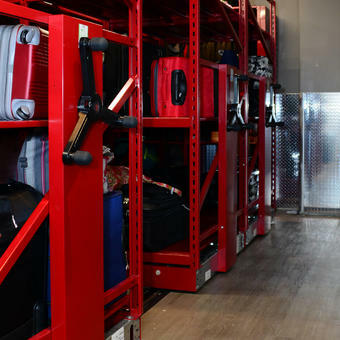 Mobile shelving helps the Hyatt store more bags and materials with half the storage footprint. Even the fanciest establishments know about the value of spatial economy. 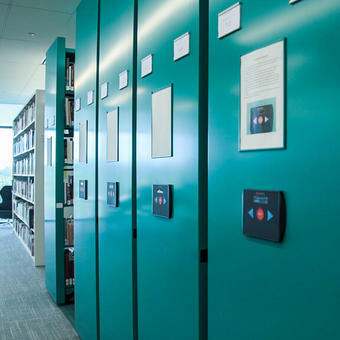 Montel supplies Toronto's Centennial College Library with adapted storage solutions to address its insufficient collection storage space. 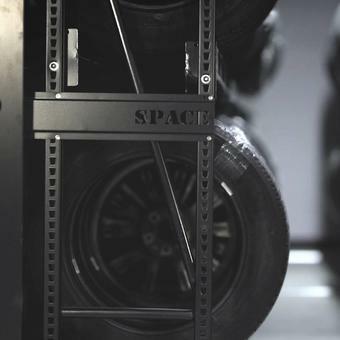 Montel designs a space-conscious hybrid art rack and smart storage installation for New York City's Boris Lurie Art Foundation. A real masterpiece! 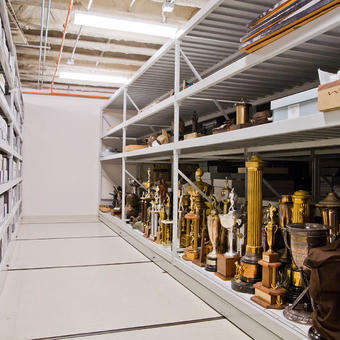 The National Baseball Hall of Fame and Museum adopts Montel’s preservation & storage solutions. 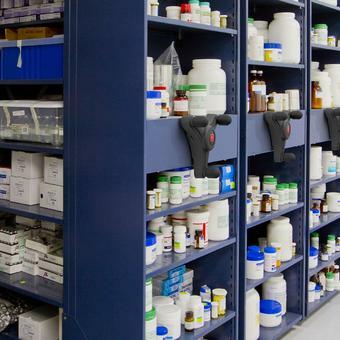 Veterinary Pharmacy selects Montel’s efficient upfront SmartSpace Plus 2MA shelving to speed its operations. When this Honda dealership proceeded with expanding its commercial facility to accomodate business growth, space optimization and storage utilization were key concers that needed to be taken into consideration. 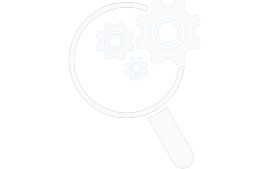 Growing pharmaceutical company doubles its floor space, providing more organization for the implantation of another production line. 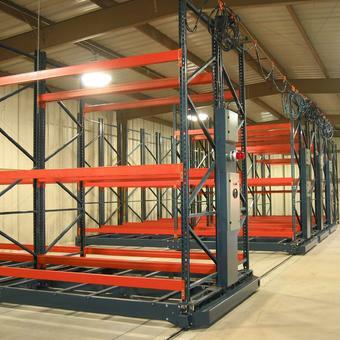 Montel provides United States army with a compact mobile storage solution. 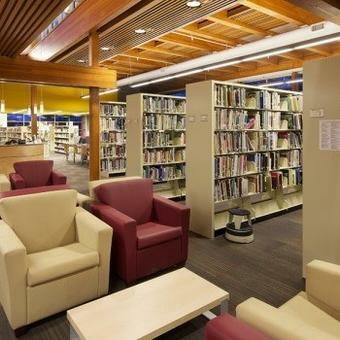 The new Salt Spring Island Public Library building installs Montel systems to carefully preserve the rare, unique, and fragile books, bound paper documents, film, materials, and archives in their care. 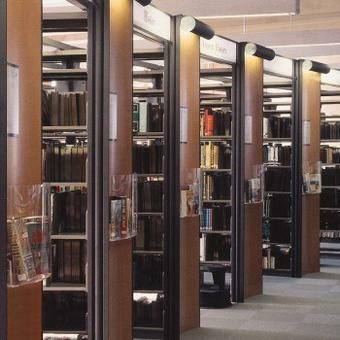 When the city of Vancouver decided to construct a new seven story state-of-the-art showcase public library, previous outgrown library space was a major concern for library officials. 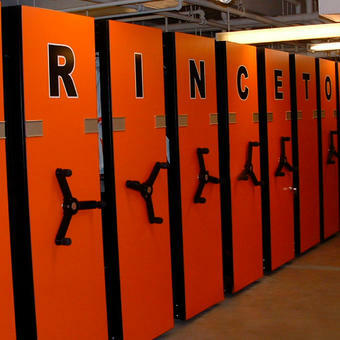 The new McGuire Center, world's second largest lepidoptera collection facility, selected Montel's compact storage systems to lodge its many collections. 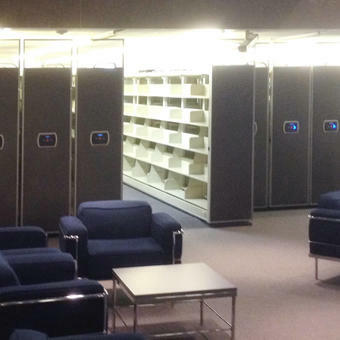 As one of the largest student enrollments in the State, the University of Texas-Pan American was outgrowing its previous library space and needed to improve storage methods. 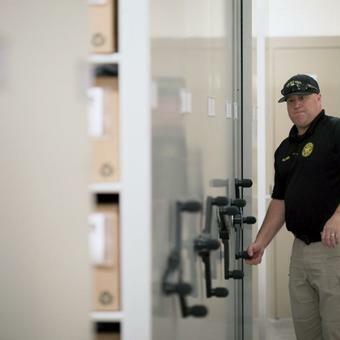 Maricopa County Jail relies on Montel's high-density storage systems. 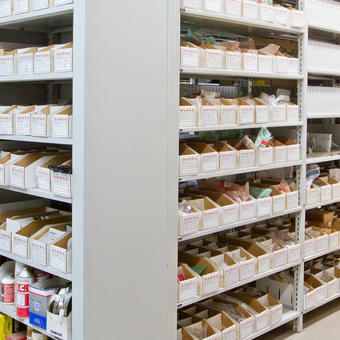 To make Jean Coutu pharmacy’s backroom 127 sq-ft storage area more efficient and cost effective, Montel proposed a mobile storage system for maximum space utilization. 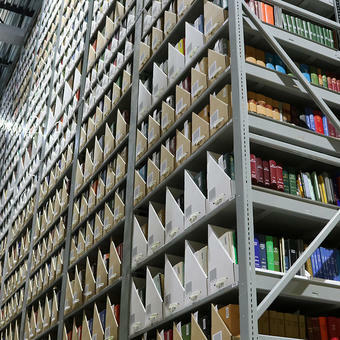 Assisted by Montel, the University of Arkansas can now store 1.7 million volumes, with additional space to grow. 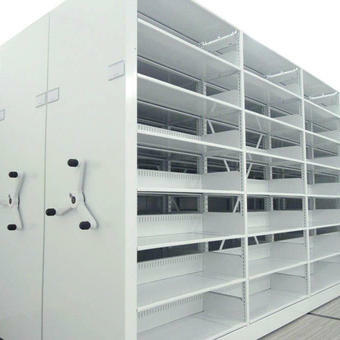 We have developed a comprehensive line-up of best-in-class mobile high-density racking and shelving solutions that are precision-engineered to deliver lasting high-capacity storage. 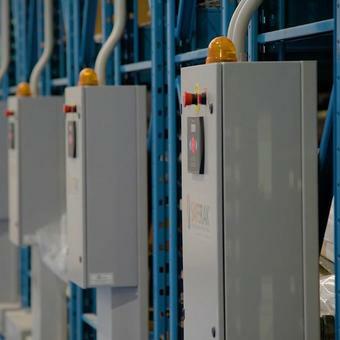 Their versatility makes them the movable and powered storage of choice for any industry: indoor vertical farming, aerospace, automotive, defense, distribution centers, food, manufacturing and pharmaceutical plants, third-party logistics, educational establishments and sports departments, etc.